We are very excited to welcome you back (or for the first time) to our fun and inclusive ski programs for kids 3-18 yr of age. 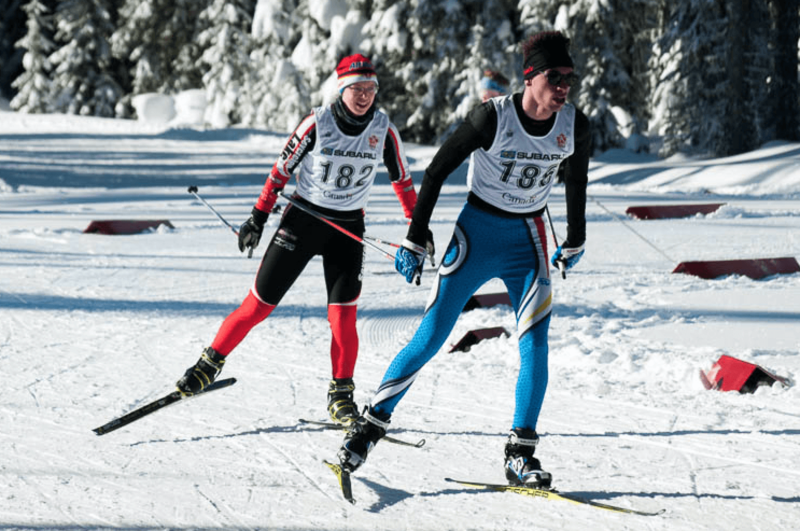 Our Bunnies, Jackrabbit, Track Attack and Biathlon Programs offer a fun way for your kids to get out in the snow with our fully qualified and NCCP certified coaches. Your kids will learn essential ski techniques, critical co-ordination and balance skills through games, challenges and piles of laughs, while developing a love for being on their skis! They will also love to be outside and active in the winter environment, putting them on the right path for a healthy lifestyle. Most importantly they will have Tonnes of Fun ! To provide a fun action-packed experience for your children and develop capable young skiers. They will learn the FUNdamentals of cross-country skiing in an exciting environment with a certified, passionate team of volunteer coaches. Sovereign Lake’s children’s programs do require a small amount of your time as a parent volunteer and there are many ways to contribute. We know everyone lives on different schedules these days and have designed a volunteer program to meet this needs. Contact our Parent Liaison to find out how you can help. Our volunteer coaching team is certified under the new NCCP system and are led by Programs Director Eric de Nys. We are fortunate to have Jackrabbit Coach Leaders return year after year. They are always full of enthusiasm and ready to mentor budding volunteer parent-coaches through the season. All of our lead coaches continue to stay current in their content and techniques by taking regular advantage of coach mentoring from our Head Coach and through upgrading their certifications. Quality is where it is at. All of our programs follow Sport Canada’s current Long-Term Athlete Development guidelines and Cross Country Canada’s current Long-Term Athlete Development model.